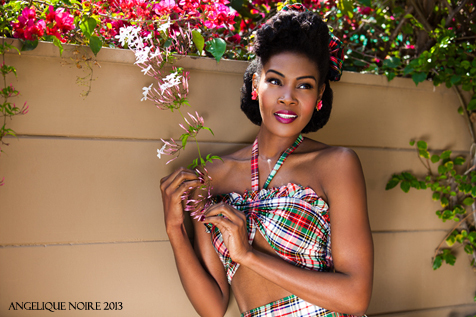 How does it make you feel knowing that you inspired so many women of color to get into pinup fashion and lifestyle? 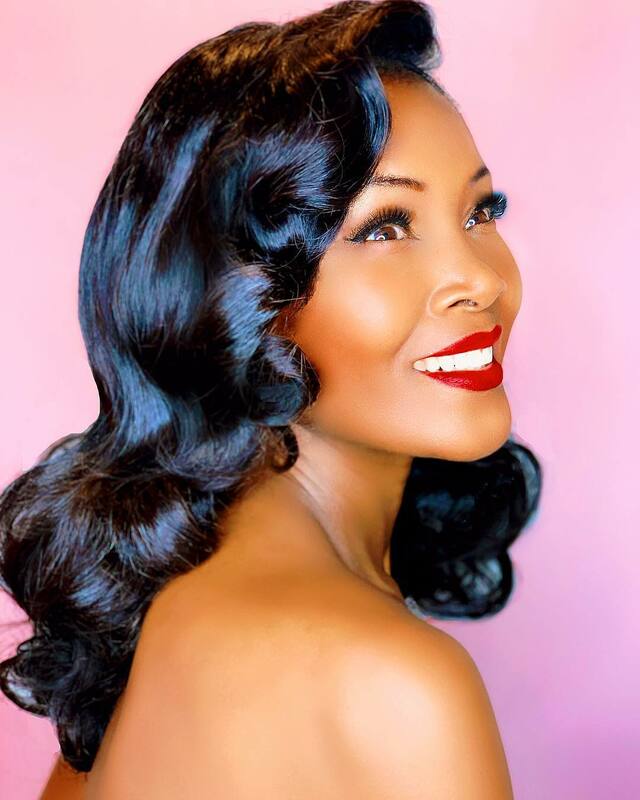 "Before I started sharing about my adoration for 1930s-1950s styling, it was my goal to show that Black women who love pinup/ vintage fashion exist. Just because the media of yesteryears rarely showed Black women as glamorous and beautiful in this style, doesn’t mean they didn’t exist. I am happy that people have supported me on my journey. I am also happy that more Black women are willing to share their passion for these retro styles too!" What was the reaction from your friends, family, and the general public when you started dressing in pinup style fashion? "My family and friends were not very surprised because I have always been called an old soul. As a child, I loved old jazz (Billie Holiday, Duke Ellington…) and adored watching classic movies. My kids get the biggest kick because their schoolmates show their adoration towards me….many even follow me on IG. I believe the general public is just not used to seeing a woman dressed up without having somewhere special to go. Often times, I am complimented and even thanked for dressing in a very “classy” way. While out and about an any given day, I especially think it is adorable when little kids ask (or have their parents ask) for me to take pictures with them." 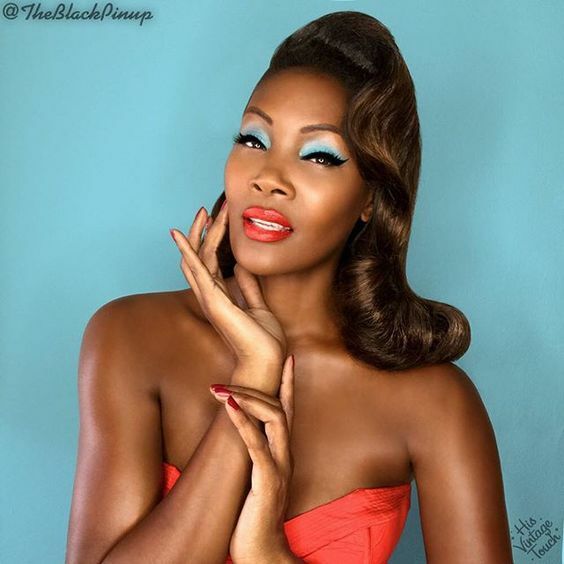 You recreate vintage hairstyles with your natural hair often, which style is your favorite to recreate? "The Poodle hairdo made famous by Betty Grable is my favorite hairdo to do. My hair is naturally curly, so this hairstyle is one of the easiest. I also favor doing a bumper bang with all my hair up to form the style. 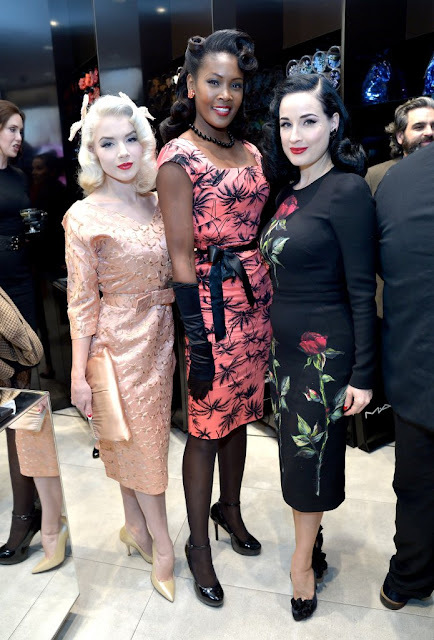 I saw it when Dita Von Teese had a lingerie fashion show to launch her lingerie line Melbourne, I believe. All of her models had a variation of this style. It was super easy to duplicate with my texture." Do you have any advice for maintaining or natural hair while having it in vintage styles? "I rarely use heat in my hair. If I want to duplicate styles like a pageboy or other styles that require my hair to be curled with a curling iron, I opt to style a wig in order to protect my hair from damage and over manipulation. " 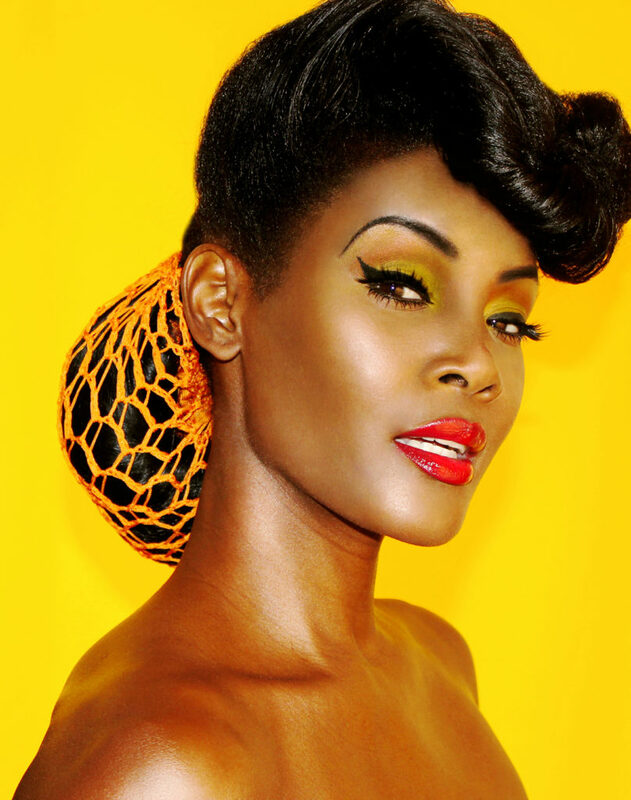 How do you feel about there still being lack of natural vintage hair tutorials? "Society has had a strong opposition to our natural texture for quite some time. We even adapted the mentality that our natural hair texture was “bad”. In order to be somewhat accepted, Black women often resorted to using chemical straighteners or heat to eliminate their natural texture or used wigs. Though natural hair is more accepted today, society still pressures Black women to conform to European beauty standards in order to gain acceptance. So given the history, it is not a surprise the lack of natural vintage hair tutorials, especially since there are few references to go by when looking to the past. I had posted a few retro hairstyles video tutorial of styles that I created for myself. Afterward, I saw many different Youtubers doing their versions of what I have shared. I am happy about that. I am not sure when I will add more videos to my channel, though it is often requested." You’re a mom of two, how do you maintain your look while being a busy mom? and do you have any tips? "My kids are teenagers now, so that helps tremendously. I delegate, and they do what is asked of them. The biggest tip is not putting pressure on myself to think and act like I am Superwoman...there is nothing wrong with asking for help whenever it’s needed. Maintaining my retro look took a lot of practice before it became less time consuming to execute. Plus, making my natural texture work for me saves a lot of time too." What has been your favorite moment in your pinup career and why? "My pinup “career”? To be frank, showing the pinup style is not my really my “career” persay, though it does take a lot of work to share online and show up to events. I am a professional model and have been long before I started sharing my love for the pinup style online. My career supports/ aligns with my passion. They happen to mesh well together and provide favorable results. As for my favorite moment that I encountered on my journey, I would have to say it was when Dita Von Teese asked me to be a part of her book, Your Beauty Mark. When it was released for sale, she invited me to participate in several of the events she did to promote her book." Some people may say that you’re celebrating a time when women of color didn’t have as many rights as we do now, what would you say to those people? "I am far from being the person who says that I was ‘born in the wrong time’. I was born at exactly the time I needed to be, which gives me the ability to shine now. Present society still exhibits racism, but not to the extent it did during my favorite decades in fashion (1930s-1950s). I relish that I can open peoples’ eyes to see and understand that every race donned these classic styles. It is not, and was not, exclusive to only one race. In spite of media biases due to racism, many Black women were (and continue to be) beautiful, feminine, and glamorous whether the various media choose to show this or not." What’s your advice for aspiring pinups of color and just all pinups in general? "I pretty much say the same thing to all women who enjoy the pinup style, POST PICTURES ONLINE! 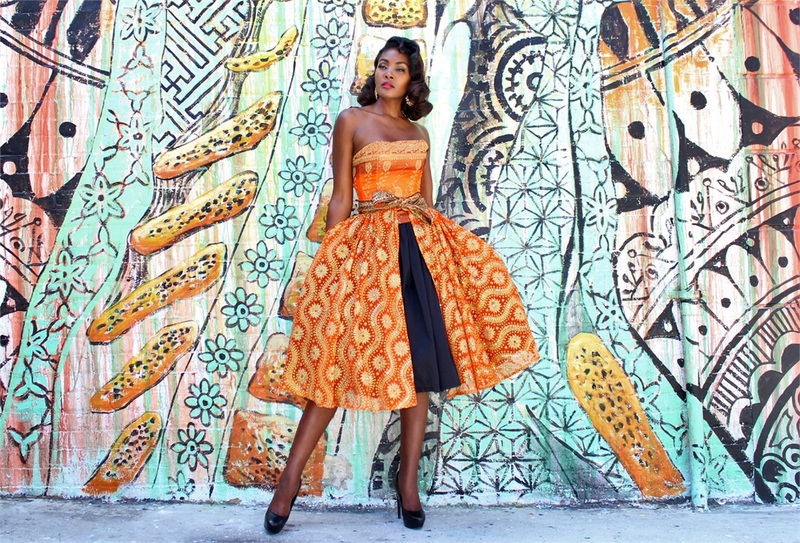 in the vintage styles, and attend events with people who like to dress in these retro fashions too. No one will know who you are if you don’t put yourself out there." Do you have any up and coming projects that we can look forward to? "Yes, I am working on a documentary that I am not ready to share about, and other projects are in the works that I am not at liberty to discuss. I am excited most about these projects, but unfortunately, I have to delay the details."